"SoundCloud Controls" extension (add-on) allows you to control SoundCloud.com without the need to switch to the SoundCloud's open tab(s). You can play, pause, change track position or even mark the track as liked or disliked right from the toolbar button. What is SoundCloud Controls extension and how does it work? SoundCloud Controls is a simple extension to allow you control SoundCloud.com without the need to actually switching to the SoundCloud tab. You have access to all the important controls from a toolbar panel. You can pause or resume current track, switch to next or previous track or even like or dislike a track from a single panel. For information about currently playing tack just hover mouse over the the toolbar panel; channel's name as well as the track's name are shown as toolbar's tooltip. In Chrome browser, why although SoundCloud.com is open, still the toolbar ask for opening SoundCloud.com? 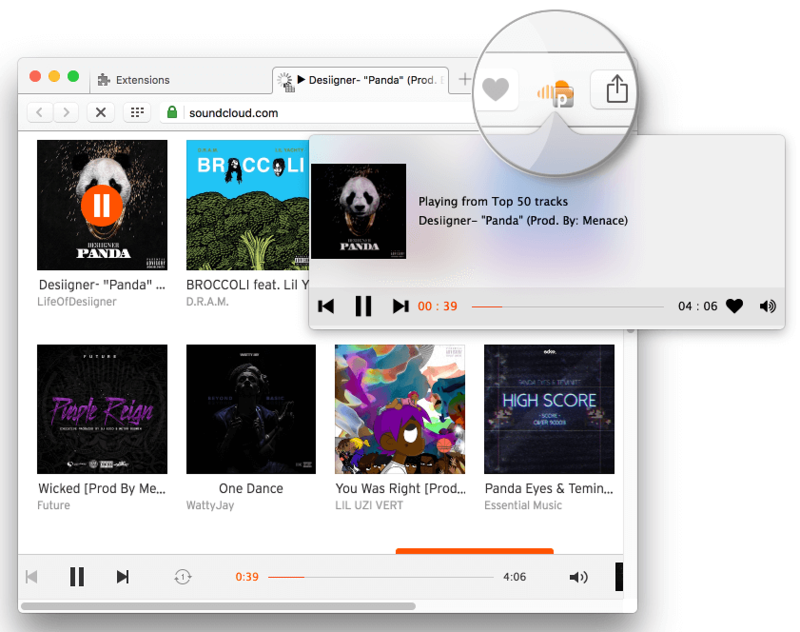 In Chrome browser, after installation, you need to reload SoundCloud tabs and start one track in order for the extension to detect the players. Can I close SoundCloud tab after the player starts playing a track? No, currently there is no plan to support hidden SoundCloud players. You need to keep your SoundCloud tab opened for the extension to continue tracking the player. Can I have more than one open SoundCloud tabs? Yes, SoundCloud Controls can manage all open SoundCloud tabs. If you press previous or next track in the panel, the currently playing tab will switch to the next/previous track. If all SoundCloud tabs are in pause mode, the first tab will start playing. Can I control SoundCloud's player volume from the panel? No, currently the panel does not allow you adjusting volume of the player, though you can see player's volume level in the panel (I might consider adding this feature in the feature).